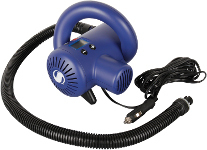 Air pumps for inflatable kayaks, canoes & boats including hand, foot & electric pump as well as adapters and gauges. 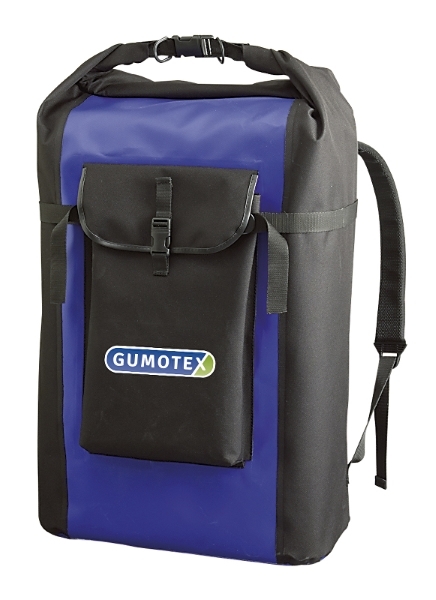 We also offer and stock the full range of accessories and spares for Gumotex inflatables. A compact and easy to use simple 5 litre foot pump suitable for inflating up to 4.3psi. Compatible with all Sevylor models and Gumotex with the use of the Push-Push valve adapter sold seperately. 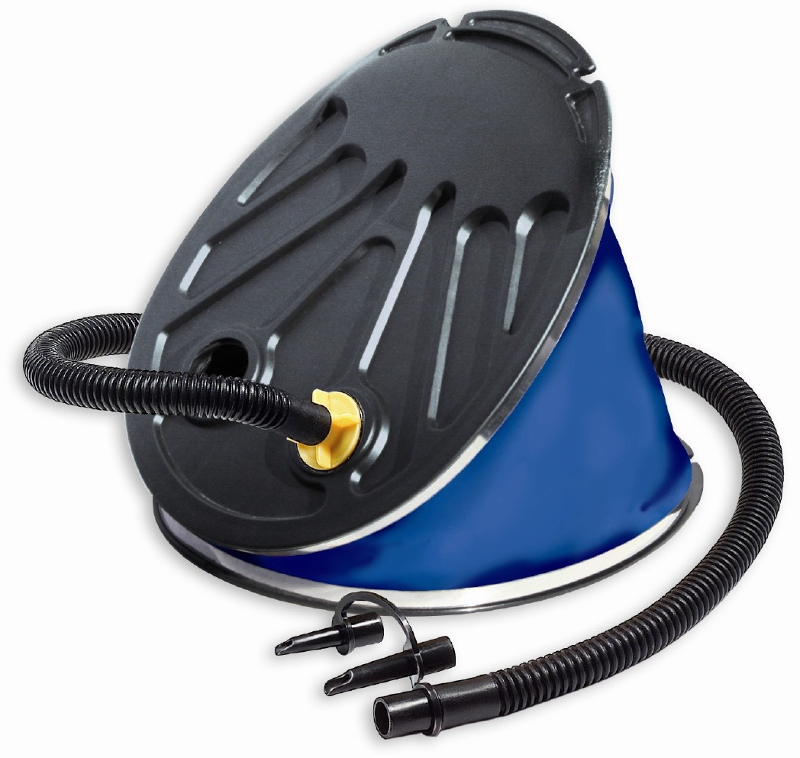 A dual action stirrup pump that inflates on up & down stroke providing rapid & effective infation up to 14.5psi. Compatible with Sevylor models & Gumotex with the use of the Push-Push valve adapter sold seperately. This 12V electric pump is a compressor type pump with pressure unit selection - PSI, Bar & Kpa. Featuring an automatic stop function that automatically switches off the pump when the pressures reaches a pre-set pressure. 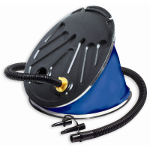 All current Gumotex inflatables feature their proprietary Push-Push valves. 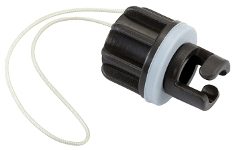 This valve adapter allow standard pumps to be used with the valve. All new Gumotex boats are supplied with 1 as standard but these are available as spares. Sevylors easy inflation manometer is designed to connect inline as you pump up your inflatable so you can check the pressure as you go. Plugs into valve and then pump connects to the gauge. Works up to 10 psi. 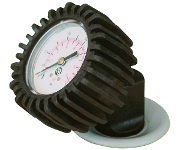 A pressure gauge designed specifically for Gumotex and used to measure the pressure of an inflated boat. Allows you to easily find the optimum inflation pressure as listed on the boat. Specific fit for the Gumotex push-push valves. A waterproof transport bag for carrying your inflatable with comfortable adjustable shoulder straps and a front pocket. Replacement or additional inflatable seat / backrest for Gumotex kayaks. Featuring inflatable seat pad and backrest. 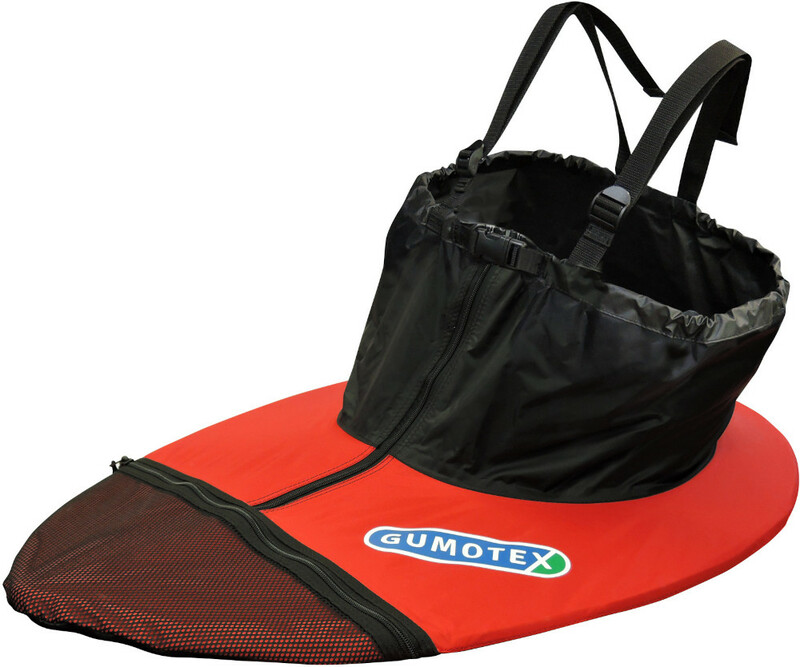 Gumotex spraydeck for made to measure fit for the Gumotex enclosed kayak models. 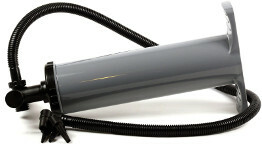 Constructed heavy duty nylon with braces and front pull cord. 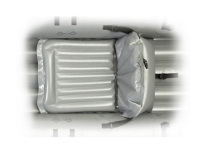 Replacement or additional 3rd seat slat for the Gumotex Palava featuring foam pad for comfort and grip. Includes 4 x nults and bolts for fitting. A removable single person deck cover for the Seawave with 4 aluminium reinforcements to support the deck cover & increase the stiffness of the cockpit and the boat itself. The cockpit includes a plastic collar reinforcement which allows a spraydeck (sold separately) to be fitted.t. 1 Person Cover only can be ordered (without supports/collar) for those who already have the 2 person cockpit kit. 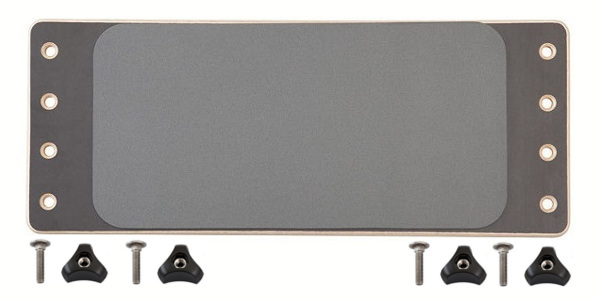 A removable 2 person deck cover for the Seawave with 4 aluminium reinforcements to support the deck cover & increase the stiffness of the cockpit and the boat itself. The cockpit includes a plastic collar reinforcement which allows a spraydeck (sold separately) to be fitted.t. 2 Person Cover only can be ordered (without supports/collar) for those who already have the 1 person cockpit kit.